The sand beach built by the WPA at Pontchartrain Beach, May 28, 1941. The bath house is seen under construction in the center of the photograph. 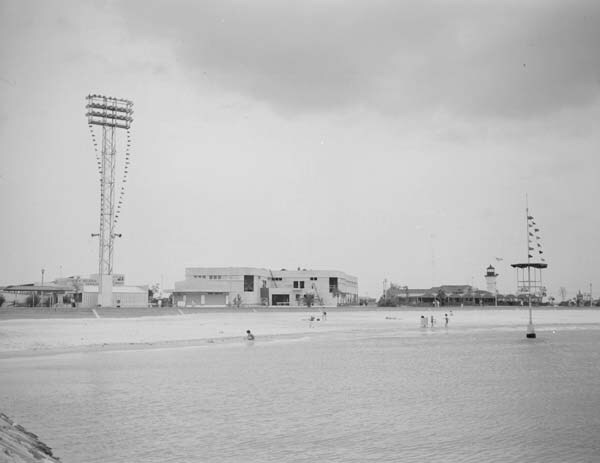 The WPA also put up two powerful lights so that the beach could be used at night and the life guard tower.